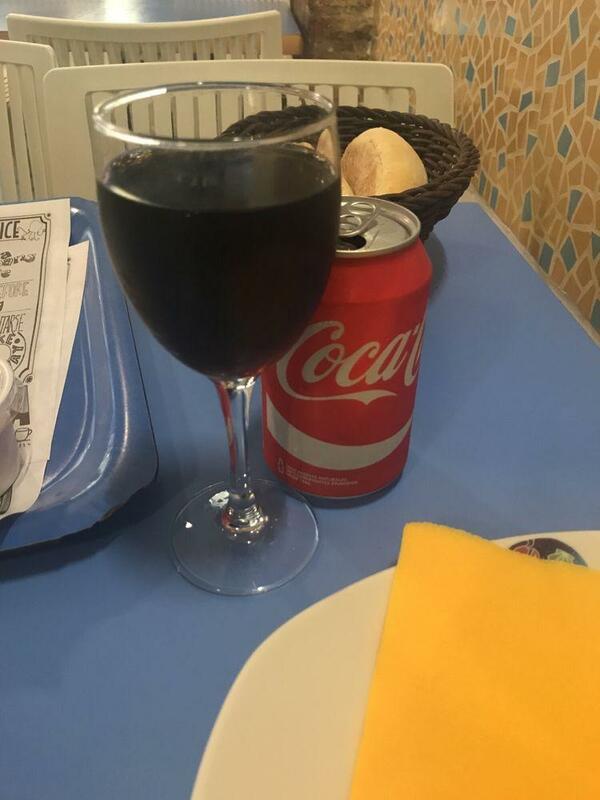 If you feel hungry after visiting Jardins Sagrada Familia, have a meal at this restaurant. Here, you can discover the recipes and ingredients of the Spanish cuisine. 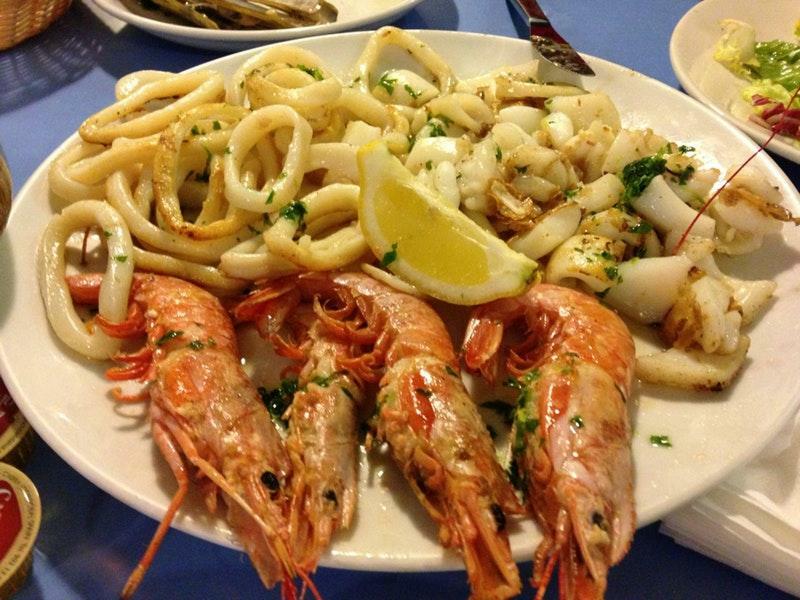 Come to La Paradeta to try nicely cooked cod, stuffed crab and grilled prawns. The cooks here prepare tasty alivenci, parfait and gâteau. Take your chance to taste delicious port wine, lager or white wine. Here you can drink good espresso, bread drink or juice. At this place, you can order food as a takeaway. The professional staff at this spot can demonstrate how much they like their visitors. The fast service is something these restaurateurs care about. 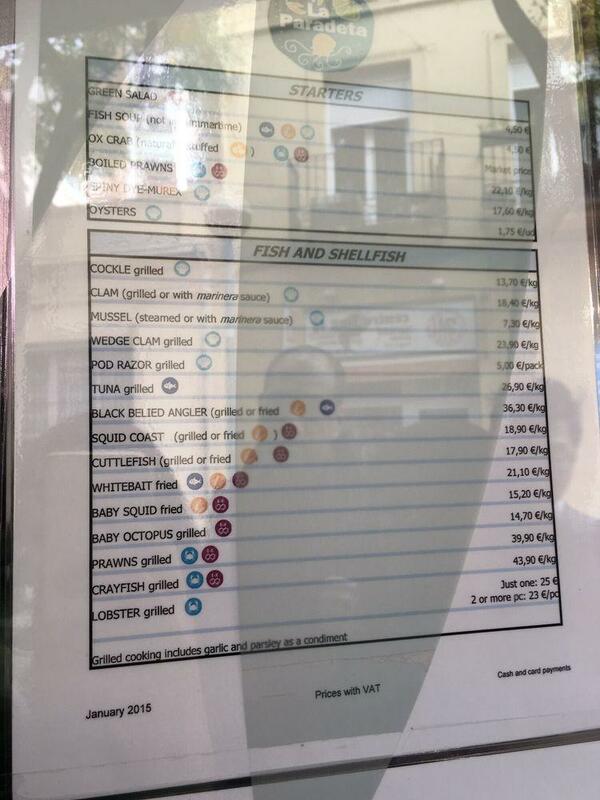 Prices at this restaurant claim to be attractive. The fine decor and comfortable atmosphere let guests feel relaxed here. 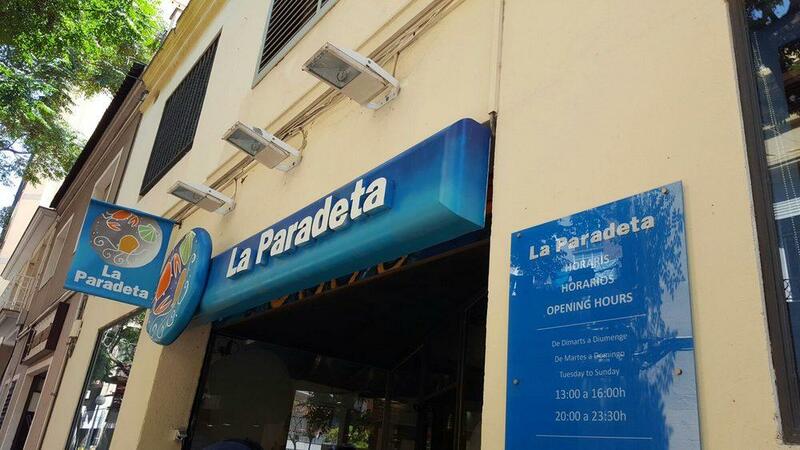 La Paradeta has got 4.5 on TripAdvisor. Great seafood restaurant where you pick your raw seafood and it's cooked for you while you wait at your table. For 2 men, we ordered 1/2 kg of prawns(excellent), 4 bundles of razor clams(very good), 2 large crabs(excellent and huge), 1 bag of mussels(good), and 4 scallops(tasty). We couldn't finish the prawns, we simply ordered too much. Have them cook the clams and scallops in garlic and oil. 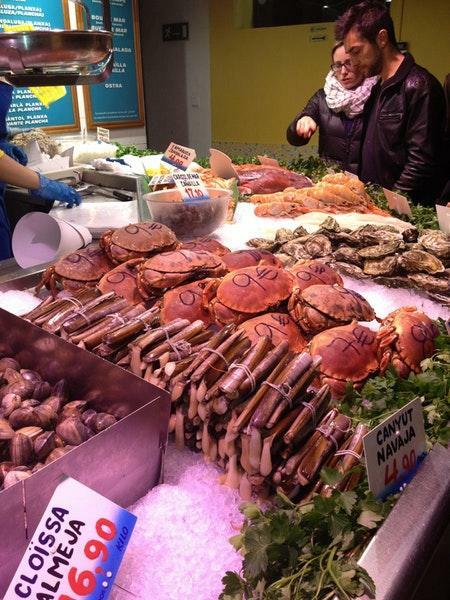 Prices were reasonable for seafood but not much offered in terms of side dishes or starches. Only bread offered(not free). Highly recommended. Make sure you arrive when it opens! Nice place with good beer. 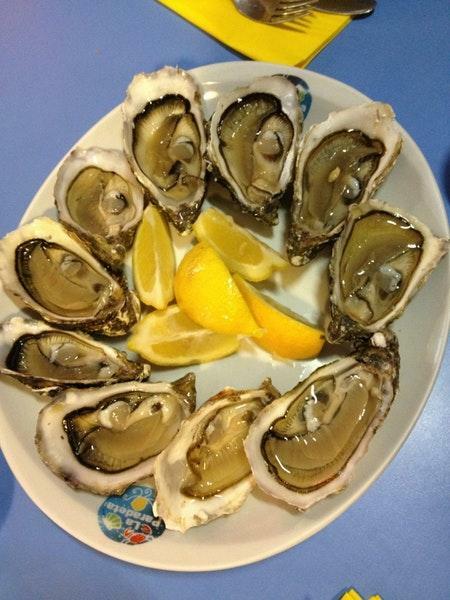 Amazing seafood ! Must visit if you enjoy seafood. We had lunch here after our visit to the Sagrada Familia. It is within walking distance. We went when the restaurant opened and there was still a que, but it went by pretty fast. Once we we're seated, the restaurant filled up quickly. You order your seafood and drinks prior to sitting, then they call your number to pick up the food once it is ready. It is so fresh and delicious, highly recommend!